Every dog instinctively obeys authority. This can be the alfa-leader of a dog band or a human. The instinct makes the dog find out the hierarchy relations in a given community. So when they are aware of their hierarchy status, it brings them piece and makes their world more stable. Entering a new community, a dog automatically defines the leader. 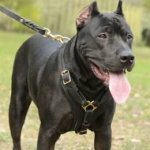 To show the pit bull its place in the family, to give instructions of what is allowed and what is prohibited is not the owner's - the leader's task. During this process, it is very important to foresee the pit bull's actions. Let's go beyond the popular principle of encouraging the good and punishing for the bad, lets study other dog education methods. As you know, the pit bulls never use the human punishment elements, they teach the junior community members by roaring, body language and touching. Note: in a natural environment, you will never see a junior claim for an upper position, ignored is nothing, it is controlled instead! 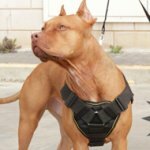 The most effective kind of training collars for pit bull is a choke collar. 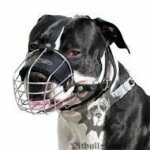 If you use it correctly, it will be close to the biting of mother pit bull who is teaching its pup, or a senior community member warning against misbehaviour and finally the choke collar will help you control the ones who claim for an upper position. 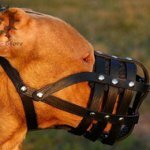 Before you use a Pitbull prong collar, you should study all impact methods relevant for every case when such a collar is used. They study how the choke collar is put on right. 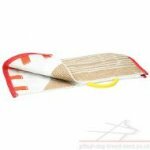 You better choose the ultimate link thickness, the spikes end must be situated so that they don't harm the dog's skin.The Sprenger collars can be divided into parts, which allows to put them on like a necklace. 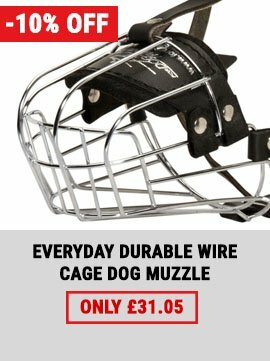 Surely you should put the collar through the head in order not to harm its eyes. 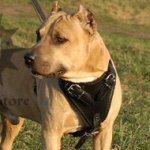 Note: if you see that you can easily pit on a choke collar through your pit bull's head, this means the size of the collar is wrong! Key to success is the right usage of the choke collar. Attach a leash to the collar, so you can combine two most important training elements: the choke collar and your hand. All dogs are very sensitive to touching, it is a natural part of their communication. Learn to touch your dog right through the collar to achieve difference impact. 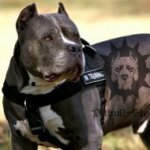 So you pit bull will surely see you as a community leader! 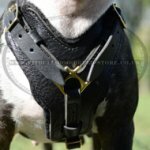 The chain collar allows you to say "No!" to misbehavior in the dogs' language. Please do not pull the dog is the wanted direction by the leash, just let it know which way is wrong, give it the movement tempo. 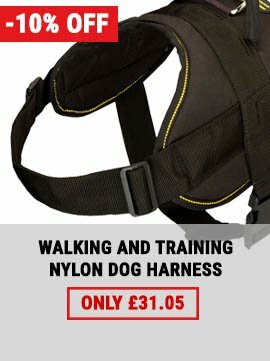 Using the needed impact intense you can actually communicate with your dog. It is nit the leash that teaches the right direction, it is the collar. 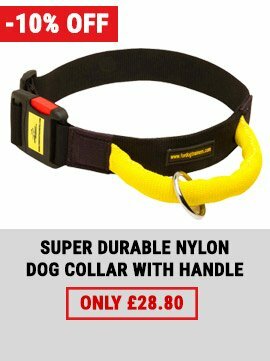 Sprenger chain collars are recommended and licensed by authority dog instructors and trainers. If they don't work for you, you should find a trainer that will cope with it or ask an expert. Most professionals place the dog next to their left leg. There are many theories for this. 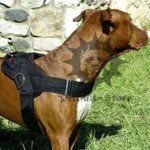 If the choke collar is fixed firmly on the pit bull, this means there is no certain place where you and your pit bull should be. 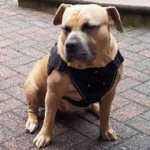 After you start using collars with quick release buckles, there is no right or wrong place for it on your dog's neck. 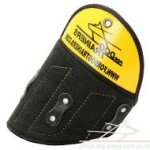 All that counts is, the collar shouldn't be too loose or too tight. Do not put on the choke collar with their spikes out. It is false that the dog feels the collar only when the owner pulls the leash. 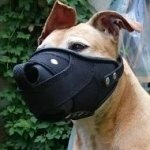 It picks and can harm your pit bull if you use it wrong. 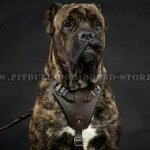 Find many choke collars and chain collars for pit bull and Staffordshire bull terrier in our on-line shop! 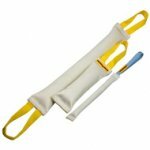 Fire Hose Dog Bite Tug with 2 handles, 24"